What do you have to do to be a writer? Write a lot. And read even more. I started to write at eleven, and I was 21 when I was first published. That was my fourteenth novel. All the others stayed in the drawer. Of course, not every writer has to wait till their fourteenth novel to get published. For most of them, it’s their third, fourth or fifth, sometimes even their second, but very few publish their first. So, if you want to be a writer, don’t obsess about getting your first book published. It probably won’t be as good as your second book, the second won’t be as good as the third, because you learn as you go along and improve with practice. As no one is born knowing how to write, I think it’s down to hard work and patience rather than talent. But, over all, every aspiring writer also needs to be passionate about writing. Because they will probably have to write hundreds of pages before they get published. If they like writing, they’ll keep on going, regardless of whether they are published or not. If they don’t like it, if they find it difficult, they’ll get tired and bored, and they’ll give up at the first hurdle. I can’t give you any miraculous formulae that will make you a successful writer, help you win a competition or get your first novel published. You need to work hard to do that, as you do for anything else. Read a lot, write a lot, be humble and be ready to accept criticism that can help you improve. Don’t let fear stop you in your tracks. What if I’m not talented? What if my book is no good? Let’s see, it’s your first book, so it’s not very likely that you’ve written a masterpiece, get used to the idea. That doesn’t mean that you have to give up, quite the opposite. The more you write, the better you will be. There may well be a genius born sometimes, but you can’t take it for granted that you are a genius. The majority of us have to make do with managing to be good professionals. That is no easy feat and it is achieved with hard work and dedication. To sum up: if you like writing, just write. Becoming a professional writer takes time and effort, but you like writing, so where’s the problem? If you don’t like writing… why are you reading this? What you do need to bear in mind is that an idea is not the same as a story. A story is like a puzzle formed by many different ideas. You may have an idea at the beginning, for a character, for a place… but that is just the first piece in the puzzle. So it’s not just a matter of inspiration. It is true that there are some authors who start with one initial idea and then improvise, but I don’t recommend that if you want to create a solid plot and rounded characters. Don’t just wait for ideas to come to you. You can gather many pieces of the puzzle, but they won’t fit together by themselves. You need to think and find the best way to fit them together, and nobody can do that for you, not even inspiration. It doesn’t matter if you have to discard good ideas because they don’t fit into the plot. It’s better to keep these pieces, as good as they may seem, for future projects, rather than put them into the story even if they don’t fit in well. If you write fantasy, many of your ideas will come from your imagination. To keep it in good shape, it is especially important to read a lot and think a lot too. Don’t worry if your stories seem similar to others you have read. That’s what usually happens in the beginning. If you write a book in which you can tell that you admire a certain author a great deal in every paragraph, it’s not very likely that it will get published, but don’t worry: that is part of your training. You start by imitating other people, almost always unconsciously, until, as you become more widely read, have experiences and reflect on them, you end up finding your own style. A writer is not original because he tells stories that nobody else has told. He is original because he tells them from a different point of view. You will be a writer with your own personality when you have you own way of seeing the world. That will be reflected in your stories, so, however clichéd the plot of one of your novels may seem, it is the way you tell it, your personal vision of these topics, your way of reflecting on them, or bringing them to life, that will make the work original. If you want to write, but you don’t have any ideas, write about things you know about or which have happened to you. Write a diary, a blog, or whatever, it doesn’t matter if nobody reads it, it doesn’t matter if you only write it for yourself. Every page you write will be another page of practice in which you will be trying to find the best way of writing your feelings and your thoughts, and that’s why it won’t be a waste of time. That way, when you do have a good idea and you are able to develop it until it becomes a good story, you will also be able to put it down on paper in a satisfactory manner. So you should write even if you don’t have any ideas. If you don’t, if you wait for that great story, you might make a hash of it simply because you don’t know how to write it. What do you need to do to get a book published? First of all, write it. If you have only planned it, or have just started it, first worry about finishing it rather than about what you are going to do when you it is finished. Don’t run before you can walk! Next, check you work very carefully to make sure there are no mistakes. Then you will have to contact a publishing house. Find one that publishes the same kind of books you write. Many of them even provide instructions on their websites on how to send manuscripts. Each publisher has different conditions, so find out first. You can send a copy of your work to a publishing house or an agent, or take part in a literary competition. There are many options, but each publishing house, agent or competition works differently, so you should find out what they want in each case. Send your work and then be patient! They often take a long time to respond, and it’s also not easy to get published the first time. If they reject the book, keep trying! The more you write, the better you will be. 1) Read a lot, read everything. A writer is made on the basis of reading other writers. 2) Write a lot. Nobody is born knowing how to write, and practice makes perfect. 3) If you don’t like what you write, don’t lose heart. You’ll do it better next time. Keep what you write, even if you don’t think it’s any good. After a while, with a bit of perspective, you’ll be able to see what you’re doing wrong and correct it. 4) If they don’t publish your first novel, be patient. That doesn’t mean you’re a bad writer, just that you are learning and you need to improve. 5) Do you get writer’s block halfway through? That’s what happens when you start to write without having a clear idea of everything! Think very carefully about what you are going to do. Think about it long and hard before you write. Make outlines, plan the structure of the story, know the characters well. Writing a book is like building a house, no architect starts without plans. How did you start to write? How did you get published? I started writing when I was ten years old. At that time, I was already devouring books, and I liked to imagine that I was experiencing the adventures in the worlds of the stories I was reading. I started writing stories, and when I was 11, I started my first novel together with a school friend. It took us three years to finish that first book. At 13, I was sure I wanted to be a writer. At 14, I had finished my first novel, and I started sending it to publishing houses and competitions. I didn’t have any luck. Neither did I have any with the second novel I wrote (this time on my own), nor with the third, nor with the fourth… over the next few years I continued to write books and stories and take part in competitions. Yes, I did lose hope in being published one day, but that didn’t make me stop writing, because I love writing. As I was always writing, I was always sending things in to competitions… and so, at the age of 21, my novel Finis Mundi won the Barco de Vapor Children and Young Adult Literature award. I had taken part in that competition several times, but I had never had any luck until then. Finis Mundi was actually my fourteenth book (the thirteen previous ones were not published), but it became the first novel to be published. Since then I haven’t stopped :-). Is there going to be a film based on one of your books? No, not at the moment. Besides, if there was a producer interested in making one of my books into a film, I would have to think about it a lot. It is not so simple to show everything in a book in a film, and books are very special to me. They would have to guarantee that they would do it well, with resources, with love, and that they would be faithful to the book. That’s not so easy! Are you going to write a sequel to one of your books? The books that needed sequels have already been finished. Those were Memorias de Idhún, which is a trilogy, and Crónicas de la Torre, which also consists of three books, plus another related book, called Fenris, el Elfo. The series Sara y las Goleadoras is in six parts, and Alas de Fuego is continued with Alas Negras. Other than that, none of them is going to have more parts. The only exception is Guardianes de la Ciudadela, which is a trilogy. 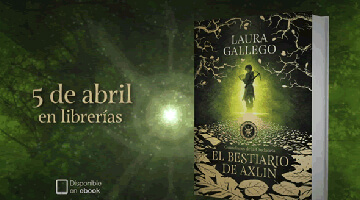 The first and second book were already published, and the last one (La misión de Rox) will be released in Spanish on March 28th. If I send you a letter, will you reply? I answer all the letters I receive personally strictly in the order they arrive. That is why it takes me such a long time to reply. So yes, I will reply, but you must be patient, because you know it will take a while to get an answer. It is important that you write your address very clearly and completely so that I can reply (normal postal address. I cannot reply to emails). If you are going to change address soon, send me the new address or wait until you have moved before you write to me. Bear in mind that I will probably take some months to write to you and the letter might not reach you then. For the same reasons, don’t write to me about anything urgent, because obviously my letter will get there too late. You can find my postal address here. Also remember that I can only reply to letters written in Spanish and English. I can’t speak French, or German or any other language. Sorry 🙁 . When are more of your books going to be published in my country? I don’t know, and it actually doesn’t depend on me. My books are first published in Spanish, and then the publishing houses in other countries decide whether to have them translated or not. Sometimes they purchase the rights to one of my books, but they take a long time to publish it. There have even been times when the books have not actually been published at all. Not all of my work is available in every language, but you can find some of my books in English and many other languages. How do you come up with so many ideas? I have been writing and inventing stories since I was a little girl, so I’ve had a lot of practice. I also read a lot: over one hundred books a year. As you can see, my imagination is very well fed, and it is a constant source of ideas. However, ideas don’t just pop into your head. Sometimes you have to look for them. When you do find them, they don’t just slip into place themselves to form a coherent plot. That’s what you have to do by thinking, going over things in your head… You have to let ideas and stories mature, give them time. It is not instantaneous nor pure inspiration. A story is like a puzzle with many pieces. The first piece might come to you by itself, but a writer’s job is not to wait until inspiration arrives. You have to look for the other pieces, and then you have to put them together patiently until you obtain something that makes sense. In short, I don’t just “come up with” stories: I build them. Where do you get the names of your characters from? It depends on the story and the character. In the fantasy books which take place in other worlds, I usually invent them. In other cases, it depends on the country the character comes from. For example, The Legend of the Wandering King takes place in Arabia, and, therefore, the characters have Arabic names (Walid, Hammad, Amir, Zahra…). La hija de la noche takes place in France, and, therefore, the characters have French names (Maximilien, Isabelle, Jerôme, etc.). Sometimes the names are inspired by mythology (Fenris, Astaroth, Bran, Morderek…). Other times, I form names by changing other names around in my head until they become new words. My theory is that every character has to have a name that matches where they come from, and if they come from an invented world, the name should be invented as well. If I invent a name, I try to make it simple and easy to pronounce. Although these are the rules I use now, I haven’t always followed them. For example, in Crónicas de la Torre, the characters’ names have various origins. Whilst the elves’ names are all invented (Ankris, Shi-Mae, Nawin…), the human names are not very common Spanish names (Conrado, Jonás, Iris, Hugo), and some later use mythological names (Fenris and Morderek). Finally, others are names I read somewhere and liked (Dana, Maritta, Aonia). At the moment, I am trying to be less incongruous in the onomatology of the books I write. Do you write by hand or with a computer? When I started to write, I wrote by hand and then I typed up my stories, because I didn’t have a computer (and I didn’t have one until I was 20). As it wasn’t easy to make any corrections with the typewriter, I had to write by hand first, correct on paper, and then type it up. When information technology finally caught up with me, I took a while to decide to write my books directly onto the computer (in fact, I still have the handwritten originals of books such as Finis Mundi, The Valley of the Wolves and The Legend of the Wandering King). Now I write directly on the computer, because it’s more practical, but I miss writing by hand. That’s why I handwrite replies to my letters, and, sometimes, if I’m not in a hurry, I still write some of my novels on paper, as I did with La emperatriz de los etéreos. Do you draw the covers to your books yourself? Of course not! I’m not very good at drawing. The covers and illustrations to my books are done by professional illustrators. I have a lot of contact with some of them, and others, by contrast, prefer to do their own thing. That is why the book covers do not always show the characters or the situations exactly as I imagined them. Every illustrator has their own view of the story. Out of all the books you have published, which is your favourite? My favourite is Memorias de Idhún, because it is a story that has been with me for a large part of my life (I started to imagine it when I was 14). I don’t know if it’s the best, I think people who are more objective than I am will have to decide that, but it’s the book I care about the most. The short and sweet answer would be: “Because young people have a right to read too”. Although that’s true, it’s actually a bit more complex and less romantic. The fact is, when I write my books I don’t think about the age of the people who are going to read them. I write above all what I would like to read, and, surprisingly, I end up connecting with teenagers. I say it’s surprising because I stopped being that age a long time ago. However, it’s a fact that, although I write what I like, my readers are mainly aged between 10 and 18. I am very proud of that, because I have always thought that someone aged 13 or 14 is no less a person or less a reader than an adult. Is there a second and a third part to Memorias de Idhún? Yes, Memorias de Idhún is a trilogy. The second part is called Memorias de Idhún II: Tríada, and the third Memorias de Idhún III: Panteón. Will there be a fourth part to Memorias de Idhún? No, not at all. As I said earlier, Memorias de Idhún is a trilogy. There are three parts, full stop. All the questions raised in the first book were solved in the second and third part, and the future of new characters or possible new stories does not form part of this trilogy’s main plot. Will there be a film of Memorias de Idhún? The answer is no. Any rumour you might have heard or read is nothing more than that, a rumour. Besides, I’m not interested in transferring the rights to make a film of Memorias de Idhún. For many reasons, but, above all, because I don’t think it’s a story that can be told in just two hours. Not even in three films lasting two hours each. A film script for a two-hour film has around 120 pages. There would only be two ways that Memorias de Idhún could be made into three films: the first would be adapting it, which would result in a film lasting… thirty-seven and a half hours! (Or three films lasting twelve and a half hours each). The other option would be shortening the story to make a film of a reasonable length. I don’t want anyone to shorten the story, which is so important to me, and I prefer people to get to know it in its complete version, in other words, through my books. That’s why there won’t be a film of Memorias de Idhún. It’s not possible due to its length, and because I wouldn’t like it, since nobody could guarantee that the final result would be faithful to the novel. The film world cannot guarantee that, however hard they try. A novel is the work of just one author (or two, at most), whilst hundreds of people can take part in a film, each with a different view, which, naturally, won’t be the author’s. Will there be a video game of Memorias de Idhún? No, not at the moment. As with the film, if you have seen advertisements or comments on the Internet, they probably refer to homemade video games produced by fans, with RPG Maker or similar. There is a Memorias de Idhún game (available in Spain and Germany), but it’s a board game, not a video game. Will there be a series of Memorias de Idhún? Yes! We are working on a new animated series which will be released worlwide on Netflix in 2020. It will be an anime based mostly on the comic book series created by Estudio Fénix. No, they are all invented. Who do you prefer, Jack or Kirtash? I like them both. They are two very different characters, and they are both special in their own way. But I think Kirtash is a better character, and Jack is a better person.